"Solid audio course, without the interactivity." Arabic can be one of the hardest languages to master. This is not only because of its unique alphabet and grammar structure, but also because of the multiplicity of Arabic dialects spoken. Pimsleur offers one of the best solutions to this problem by offering three different Arabic language learning courses. Each of the courses use the highly regarded Pimsleur method to teach Arabic in a faster and easy to learn way. 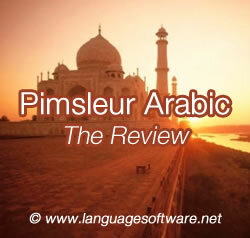 In this review we will look at whether or not the Pimsleur method works for a language as seemingly complex as Arabic is. Below you will find some of the key advantages and disadvantages of these Arabic language learning courses. You will also find out if Pimsleur Arabic offers the best value for money or if there are better options available. Finally you can find our overall recommendation for these three Pimsleur Arabic courses. What is the difference between MSA, Egyptian, and Eastern Arabic? If you are new to learning Arabic it might seem a little strange that Pimsleur is offering three different language courses teaching what is essentially the same language. After all there are many languages such as French or Spanish which are spoken in multiple countries, but there isn't separate courses for each. However, the difference between Modern Standard Arabic (MSA) and localized dialects such as Eastern Arabic and Egyptian Arabic is huge. If you want to be clearly understood and not laughed at, then it pays to learn the right form of Arabic. Modern Standard Arabic is also called literary Arabic. It is the Arabic used in academic journals, in the news, legal documents, and is taught in schools in all Arabic countries. Modern Standard Arabic is one of only six official languages of the UN and is spoken by more than 300 million people, so it is well worthwhile learning. Speaking Modern Standard Arabic is also useful because while it is too formal for everyday speech it will allow you to be understood no matter where in Arab world you go. If you are planning a trip to Egypt then you want to use the Pimsleur Egyptian Arabic course. Egyptian Arabic is spoken in cities throughout Egypt. Also because of its use by movie actors it is widely understood across the Arab world. Finally Eastern Arabic is the dialect which is spoken in Jordan, Palestine, Syria, and Lebanon. Eastern Arabic is also a very useful dialectic to learn because it is understood by many people in Iraq, Saudia Arabia, and gulf region. The Pimsleur Method was developed Dr Paul Pimsleur in the late 1960's to make it easier for people to learn a new language. The Pimsleur Method is based on four key principles. The first of these is spaced repetition, which means that new words and phrase are repeated in increasing intervals. So for example the first time you hear a new word it might be repeated two minutes later, the next time it would be ten minutes later and then half an hour after that. This is the optimal way to memorize new information. The second principle is core vocabulary. All languages have a core vocabulary which if you learn is enough to hold basic conversations and be understood. The Pimsleur Approach does not waste time on words that you will infrequently use. The third principle is anticipation. The Pimsleur Method ask you to translate a particular phrase or word, gives you time to say it, and then reinforces the correct word or phrase. As your mind becomes trained to expect to have to speak words and phrases you become laser focused on learning. Lastly there is the principle of organic learning. All of the words and phrases introduced in your course are placed inside of the context of a conversation. Egyptian Arabic Level 1 costs $119.95 which includes 30 units in addition to the reading material. You can also choose to buy five units at a time of Egyptian Arabic Level 1 for $21.95. Eastern Arabic costs $265.95 for phases 1 - 3. That includes 90 half hour lessons and additional readings. This adds up to 48 hours of material in total. You can also buy Eastern Arabic by each level for $119.95 each. Each level consists of 30 units which is 16 hours of material. Lastly you can choose to buy five units at a time for Eastern Arabic for $21.95. Modern Standard Arabic (MSA) costs $119.95 for level I which includes 30 units plus reading material . You can also choose to buy any five units of Modern Standard Arabic level 1 for $21.95. Free trial lessons - Pimsleur offers the first lesson of each of the three different courses for free. This is a thirty minute lesson which gives you a good feel for the Pimsleur approach to language learning. This is a good way of deciding whether it is the right learning method for you before starting the full course. You can get started right away - Arabic can appear to be a daunting language to learn for English speakers. Learning the alphabet and grammar structure of Arabic can put even the most determined language learner off their task. With the Pimsleur approach you simply need to start the audio playing and you begin learning immediately. If you follow the system you will see results - The simple fact is that the Pimsleur approach works. If you follow the system and practice consistently then you will be able to speak and understand at least some Arabic. Learning with Pimsleur really is as simple as committing to playing the audio for at twenty to thirty minutes each day. Wide range of dialectics - One of the problems with offering an Arabic language course as always been which dialectic to use. Some courses such as Rosetta Stone Arabic have opted to teach Modern Standard Arabic (MSA) only. While this does give the student that ability to use Arabic in multiple countries and be understood, it is hardly the Arabic that most people actually use in those countries. By offering MSA, Egyptian, and Eastern Arabic Pimsleur has neatly covered a large swathe of the arab world. You are constantly hearing native pronunciation - One of the best things about studying an audio only course is that you are constantly hearing a native speak. Over time you can't help but pick up the right pronunciation. If you are studying two or more of the Arabic dialects this can help you to clearly distinguish the differences. It doesn't take a large time commitment - For the Pimsleur Method to work you only need to commit to studying for half an hour each day. 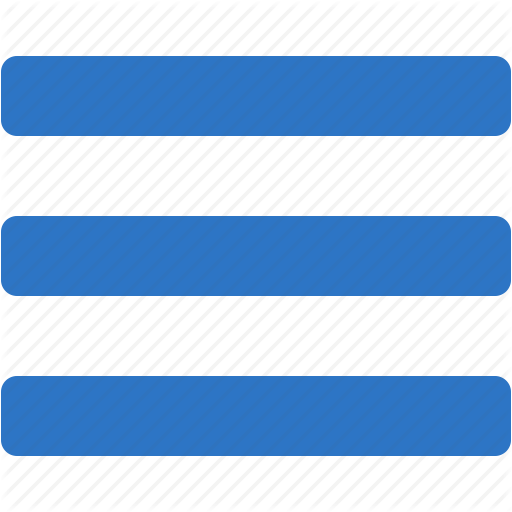 It is actually recommended that you don't do more than one unit each day because this is the optimal amount of information for retention. If you do have more time to commit to your learning it is better idea to repeat the same unit rather than to try new material. You don't need access to a computer - Software courses do have many advantages in terms of the number of teaching features that they can offer. But for students who either don't have access to a computer or don't want to sit in front of one while they learn, a software only course can be limiting. The MP3 files that the Pimsleur Arabic course uses can be played on CDs or any MP3 player. This means that you can practice your Arabic whenever and wherever you want. It's expensive - If you purchase the full Eastern Arabic levels 1 - 3 course you can expect to pay $265.95. Over three hundred dollars is fairly expensive, especially when you consider that it is an audio only course. In contrast you can get lifetime online access with the Rocket Arabic course for only $99. The Rocket Arabic course includes not only audio material but also software tools, games, quizzes. Not suited to all learning modalities - Some people are more auditory learners and other tend towards visual learning. For people who prefer to hear a language to learn it, then the Pimsleur method is perfect. But if you are a visual learner then you are going to struggle with these language courses. This is one reason why language learning software products are often better because they can offer a variety of methods which suit different learning modalities. Nuances are often not clear - It is sometimes difficult to pick up the nuances in proncousation with the Pimsleur Arabic courses. For example sometimes arabic words will feature a very soft "m" sound at the start of a word. At the speed that people talk on these courses you would probably not be able to pick it up. In contrast software programs like Rocket Arabic allow you to slow the speed of the speech so that you can correct these small mistakes in your pronunciation. Little reading or writing practice - While there is a small amount of reading material provided with the Pimsleur Arabic products, it is essentially only an audio course. This is fine for people who are visiting the country for social reasons and just want enough Arabic to get by. But for people who are doing business, studying or planning to live in an Arab country they will probably need a least a basic grounding in reading and writing. No tracking or testing - It is difficult to determine what kind of progress you are making with these Arabic courses because there is no tracking or testing. This can sometimes result in a lack of a sense of accomplishment which can be discouraging. In contrast, most software Arabic language learning products have regular testing which you can use to evaluate your progress through the course. Difficult for intermediate and advanced students to know where to begin - If you are brand new to learning Arabic then knowing where to start is easy - at the beginning. But if you are an intermediate or advanced student then the task is much harder. With many modern software language learning programs there is some sort of testing to determine where you should begin. But with Pimsleur Arabic there are no such tests. This is particularly a problem because Pimsleur gives you the option to purchase by the unit which should allow experienced speakers to save some money by only buying the later units. But until you start buying the course it is hard to know which you need and which you don't. The vocabulary can seem restrictive - One of the key principles of the Pimsleur Method is the idea of only teaching the core vocabulary. But, at times this can make these Arabic courses seem a little over restrictive. The vocabulary has obviously been aimed at the business traveller, so is at time less helpful for people who do not fall into this demographic. The learning approach can become repetitive - If you like the Pimsleur teaching approach then you may not mind studying Arabic in the same way each day. But for some people the audio only approach can become boring after a while. Modern software based courses like Rocket Arabic overcome this problem by providing a mix of teaching approaches including games and social learning. MP3 lessons are well-made and work on portable devices. The audio-based features are great to learn the right pronunciation. You can choose from three different dialects. Expensive ($300 for one level). Doesn't cover writing parts well. Hearing the same conversations over and over again can be boring. The Pimsleur method does deliver on its promises: Learning Arabic with these courses is fast, fun, and effective. Unlike many other products that try and teach Arabic you can get started straight away and there is no boring rote learning or memorization. Pimsleur have also done a good job of providing a comprehensive coverage of Arabic by offering three separate courses. This is a smart decision that other language company's should consider duplicating. But this is not to say that the Pimsleur Arabic Courses are perfect. They are expensive, possibly even overpriced, at three times the cost of Rocket Arabic which is a perfectly good substitute. And if you don't like the audio only approach then Pimsleur Arabic isn't going to work for you. Overall Pimsleur Arabic does do what it say it will, but given the price it would be well worth looking at the advantages of trying out a less expensive and more comprehensive software course such as Rocket Arabic before you commit to buying.